Pretty self explanitory, just click on play SingStar on the main menu and pick either Battle, Duet, or Solo. Score over 9,000 on 5 diffrent songs on Easy. Get a ‘cool’ ranking on every line of a ‘normal’ length song. To get a ‘cool’ ranking on a line you have to fill almost all of the note bars on screen, at the end of a line it will come up with the word cool in a green box under your score, so keep an eye on that to make sure you get it. Not as easy as it sounds so pick a song your good at and try to 100% it, you should gain the trophy when you finish the song, when you see your score. Easiest done on the Easy setting as the note bars are bigger. Here’s what you do . Get creep, by radiohead, our your favorite song. Then unscew the top of the mic, so that the foam is exposed. Place you mouth right on the foam and start humming the song. You’ll get a cool rating on everything. I got it in 2 tries. Fill every bonus note in a ‘normal’ length song. Bonus notes are the notes what are shining gold and have stars around them, all you have to do is 100% these notes, it doesn’t matter if you miss other notes just concentrate on getting the gold ones. You should get this if your going for the Keep It Cool trophy. Easiest done on the easy setting as the note bars are bigger. Achieve a very, very low score. A medley is pretty much a playlist of songs and have there own section on song select. All you have to do is pick a medley and sing all the songs on the medley. Then pick a diffrent medley. Shouldn’t take long and you don’t need to do them all in one sitting. Easy one this. Go over to Online on the main menu, then click SingStore, and bam 1 trophy. Head on over to http://www.ps3trophies.org/forum/sin…ng-thread.html there are loads of people on there willing to help you out to gain the trophy. But ask nicely ;]. Have a media upload viewed over 100 times in its first week online. Post a single comment on another player’s profile page. Simple this one, go to Online on the main menu, click on MSO, go over to your friends, select one of them, when on there profile press TRIANGLE, then SQUARE, type whatever you want, enter it and there you go 1 trophy. View 100 snapshots, 100 audio playbacks and 100 video playbacks. Go to Online in the main menu, the MSO, then got to SingStar scene, then Community Gallery, Latest Media, then just view 100 snapshots, 100 audios, and 100 videos, VERY TIME CONSUMING, but doesn’t need to be done in one sitting. “When i was trying to get this trophy i went through and counted as I went so that I would know if I should have gotten the trophy. I was just quickly viewing them and moving on to the next one. I didn’t get the trophy. I redid it, the next time I waited 3 seconds on each video and audio file and took the time to rate each one so I would know if I had done it. The 3 seconds made the difference. Recieve 50 visits to your Profile page. Rate 30 diffrent pieces of media. Whilst doing the Gallery Gazer trophy, just rate each piece of media you view until you get the trophy. Visit 50 diffrent Profile pages. Go to Online on the main menu, then MSO, then SingStar scene, then meet SingStar players, theres 12 players a page so just go through view there profile then move on to the next player, another time consumer. Save 200 pieces of media. Whilst singing a song if you have a PSEye or EyeToy plugged into the PS3 it will take a video and pictures during the song. If you want the trophy quick, just sing 20 songs saving each of the 10 pictures it takes during a song and you will get it. Upload 1 piece of media of any type to SingStar Online. Make sure you have saved a piece of media, then go into my media gallery on the main menu, select either video, snapshot, or audio, then press TRIANGLE, then press SQUARE on the media you want uploading, then press TRIANGLE again, then TRIANGLE for the final time. Play SingStar on Christmas Day. Simple and quick. Go to Settings on the XMB, then Date & Time, and just change the date of your PS3 to 25/12/2009 load up SingStar wait a bit and you should get it when you go to the main menu. *Hidden Trophy* Happy SingStar Day! 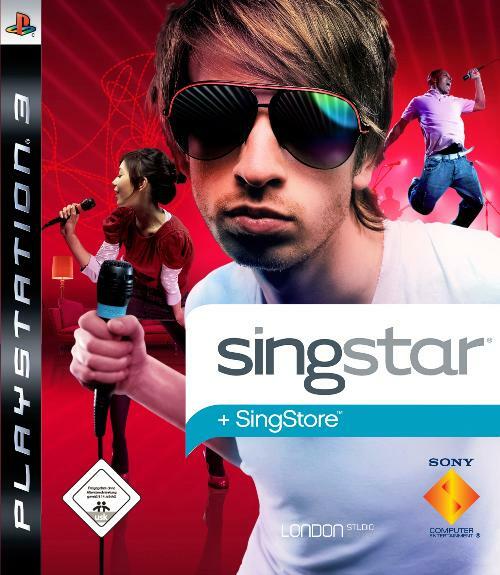 Play the game on the day the original SingStar premiered in Europe. Change your wallpaper 5 times. On the menu go to play SingStar, then options, then wallpapers, and just change it to which ever one, the change it again to a diffrent one and rinse and repeat, until trophy pops up. Complete a song using the camera feed option. On the menu go to play SingStar, options, peripheral settings, camera settings, change it from artist video to camera feed. Come out of the options go sing a song till the end and the trophy should pop up. Simple and easy. Score over 9,000 on 5 diffrent songs on Medium. Play 200 songs in Battle mode. Play 200 songs in Duet mode. Play 50 songs in Sing Solo mode. Have a media upload viewed over 200 times in its first week online. Recieve 200 visits to your profile page. Without boosting for this I could see this being very hard to get legit. So just head on over to http://www.ps3trophies.org/forum/sin…ng-thread.html and ask for some help. Win a battle on hard difficulty, while your opponent plays on easy. – If near the end of the song “Red” hasn’t gotten between 500 – 1,000 pic up the mic and sign a bit to get between the score, then just leave it. Hopefully following that you should get it on your first try. Score over 9,000 on 5 diffrent songs on Hard. To get over 9,000+ points on a song you generally have to get almost 100% on the song, which on hard is very hard to do, all I can say is pick your 5 best songs and just practice them until you can get over 9,000 points on them with ease and you should be able to pick these up. Can’t really say anything more than just practice until you can do it. These 3 trophies do not stack! Beat our resident SingStar! – score over 9344 on hard mode on any ‘normal’ length song. Same with Super Singer Gold but this time just pick one song and practice it to death untill you can get over that score with ease. “For the 300 songs, 200 duets, 200 battles and 50 songs you can set you playstation up for a sort of autoplay. Put you mics up the speaker of your TV and turn the mic volume down on singstar with R2 button to stop the feedback. Some songs work better than others. I found that I could get an amateur rating on the happy/sad medley and a wannabe on the reflex by duran duran. I believe that a tone deaf rating doesn’t count towards an actual song sung. Have a media upload rated 4 stars by at least 1000 ratings. For an easy, “glitched” way, do this, otherwise do it the hard way. 5) Rate 5 to 10 videos which have over a four star rating. Make sure the videos you rate have over 1000 RATINGS (not views). 6) Back out of the My SingStar Online to the Play SingStar option. This is all we know so far on how to re-create this glitch. Try to rate different videos if you have to do it more than once. Not sure what else to suggest. It has worked consistently with most people. Get a grand total of 8,000 views from all your media. it has to be 8,000 views all together and it can’t be from the same person. This is one of the hardest Platinum’s i’ve seen personally, but its just the same as every other Platinum just collect the other trophies.